When a blockade last November closed access to ports in Yemen that WFP relies on to deliver lifesaving food, the humanitarian impact was dramatic. Within 24 hours, prices for food, fuel and water soared. It was a stark example of why WFP must be ready for anything: Responding to major emergencies means conditions on the ground are always changing. And the stakes in Yemen couldn’t be higher. According to a new U.N. survey, more than 22 million Yemenis—roughly 75 percent of the entire population—will require some kind of humanitarian assistance this year. That number includes nearly 11 million people in acute need—those who require immediate assistance to save and sustain their lives—an increase of more than one million people in such need since June 2017. WFP is prioritizing these people who are most at risk, including households where there is no breadwinner, women and children who are suffering from malnutrition and internally displaced people with no income. That means WFP needs every tool in the toolbox as the humanitarian agency aims to assist 7.4 million vulnerable people every month. 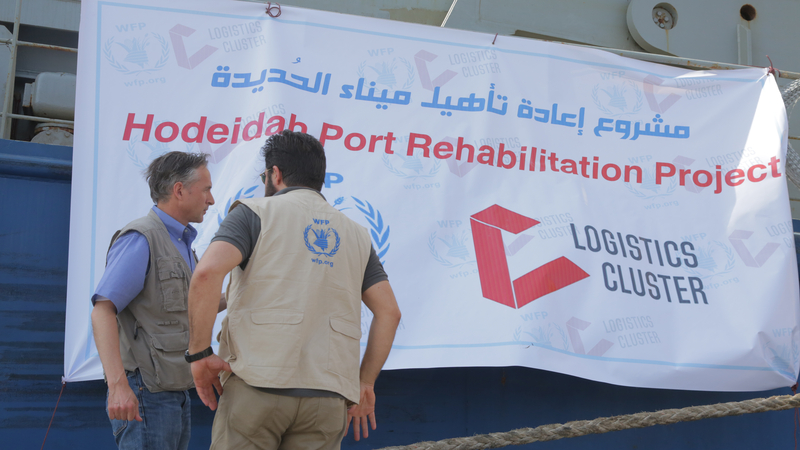 These tools now include four mobile cranes to expedite the delivery of aid through the port of Hodeidah, which handles 70 percent of the country’s imports and serves as a critical entryway for humanitarian aid and supplies. According to USAID, with the cranes in place, it will take half as long to unload ships carrying food, medicine and other critical supplies, which means more lifesaving supplies to more people more quickly. 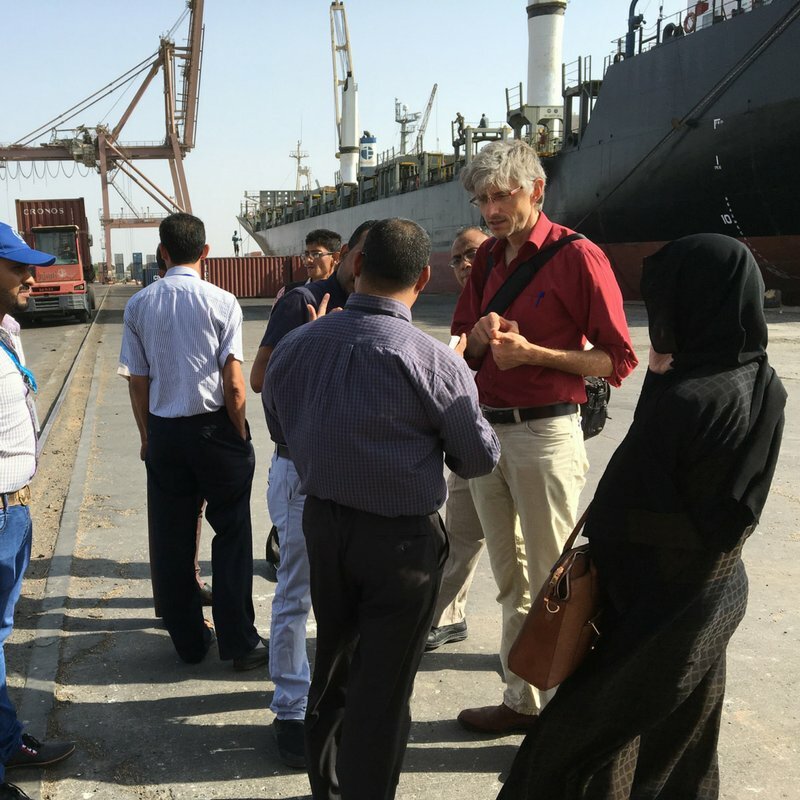 To date, 45 vessels have entered the port of Hodeidah since the blockade was lifted, including 25 ships carrying almost 700,000 metric tons of commercial food and two WFP vessels carrying 50,000 metric tons of wheat. “We are committed to doing whatever it takes to ensure a consistent flow of lifesaving food and supplies to the country,” said WFP Executive Director David Beasley. 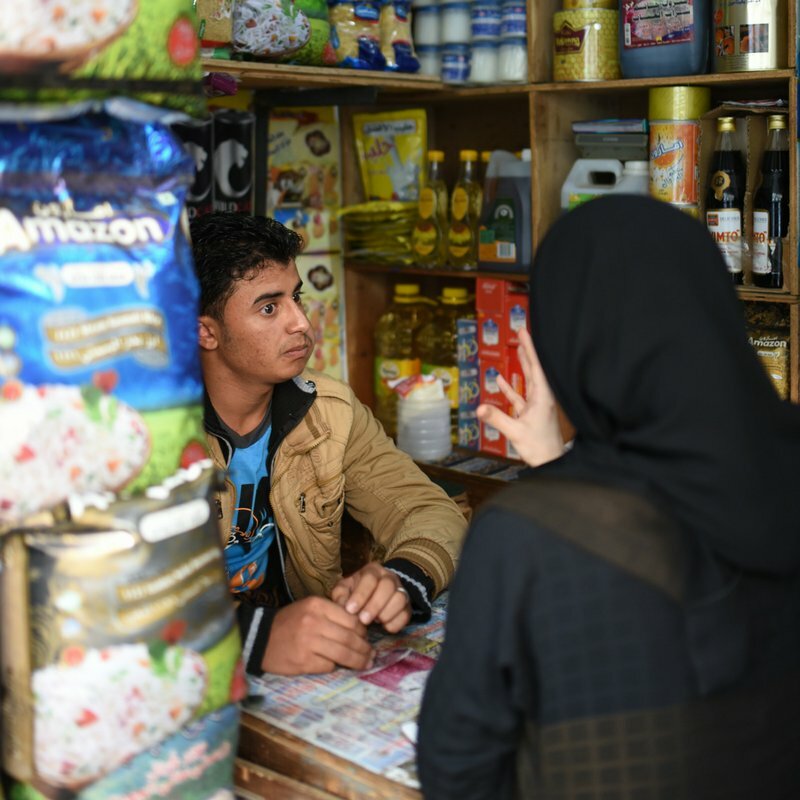 In mostly urban areas where markets are still functioning, WFP provides food vouchers to hungry families that can be used to purchase food. In rural areas where food is not available, traditional distributions of grains, vegetable oil and beans are taking place. And starting this month, WFP is setting up a fuel facility to support humanitarian operations in Yemen and keep essential public services running, like electricity for hospitals and water treatment plants. With a capacity to store 1.3 million gallons of fuel, this facility will be crucial for carrying out emergency operations, especially given WFP’s role as the leading U.N. logistics and emergency telecommunications agency.